Summary of the Detour - what we did on our "vacation"
Since neither of us had ever been to Rhode Island, we decided to drive east. We picked the first random town that came up when you searched Rhode Island on Google and that town was Narraganset. When we got to Connecticut is when the sun finally came out for the first time in what felt like weeks. We made it to the coast in time to eat dinner and watch the moon rise up over the Atlantic Ocean. We found a state park nearby, Burlingame State Park, and went to set up our tent for the night. We camped in a vicious thunderstorm here early the next morning - the worst and hardest rain I've ever camped in - and took a trip to Walmart to go grocery shopping. We renewed our campsite for a second night and spent the day biking near the beach and then on a mountain bike loop at our campground. We also had a chance to hike on the North-South Trail, a 70-mile trail that runs the length of the state with a high point of a staggering 824 feet! The next day, however, the campground was going to be pretty full with the site we liked already being reserved and we decided it was time to move on. 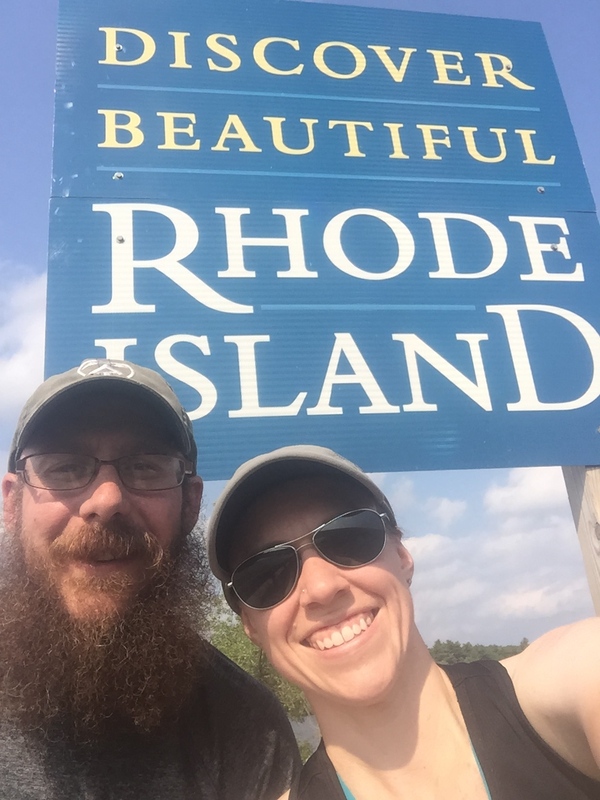 We decided to head north from Rhode Island since more rain was headed to the east coast and seemed to all be south of Maine. I was still pretty sick and coughing, but we decided I did sound much better from getting out of the rain. We picked Lily Bay State Park from a Google search of state parks in Maine with showers. They had a site for two nights leading into July 4th weekend, so we headed up to camp until July 4th. In Greenville we spent some time hiking again. We hiked Big Moose Mountain and Mount Kineo. The most fun part of all this was that Mount Kineo is only accessible by boat! We finally got some hiking in and I was a bit slower than usual, but we were able to do it. Since we couldn't stay the night in the campground July 4th, we decided to head north yet again to our old home - Millinocket. When we got to Millinocket it was in the middle of the Independence Day Parade. It turns out our friend Slim Pilgrim was also in town with a friend from college, so we were able to meet up with him. We set up a home base at Wilderness Edge Campground just outside of town and ended up staying an entire week. 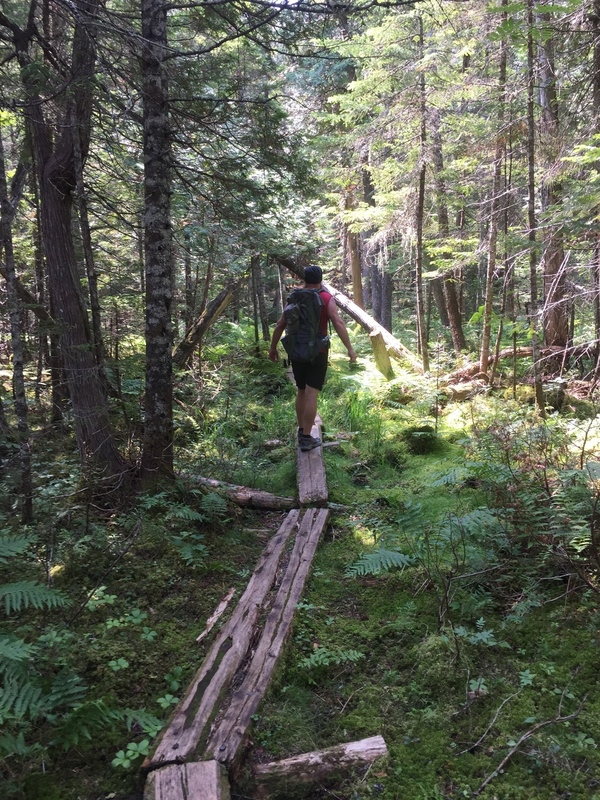 While we were in Millinocket we did a full slate of outdoor activities - hiking in the 100-mile Wilderness, hiking at Baxter State Park, kayaking on Ambejejus Lake, riding our bikes all over the place, and visiting a Moosehorn Wilderness Preserve in Calais, Maine. Calais is also the end point of the 2900-mile East Coast Greenway system. This system runs all the way to Key West, Florida! After spending a week in Maine, we decided to come home for a few days and head on to our next destination. After a few days at home, we headed south yet again to visit a friend of ours in Kentucky. We had some business to take care of in Tennessee and Virginia, so we were trying to get down there before the time expired for us to do that. We camped in a Walmart parking lot near Kings Island in Ohio before heading down to visit our friend Flash in Kentucky. We spent the entire day with him and had planned on heading to Mammoth Cave National Park, but time didn't really permit that to happen. We instead headed down to my parents' house in East Tennessee. We got to Tennessee one day before we had to get to Virginia, so it worked out perfectly. While we were in East Tennessee we spent a lot of time in the Smokies, hiking Ramsey Cascades, Mt. LeConte, the Gatlinburg Trail (with our dog! ), and a waterfall in Tremont. We also got to bike the loop road in Cades Cove and go tubing on the Little Pigeon River. We got to spend time with our dog for a while too, which was really nice because we miss her a LOT! I also finally had a chance to go to a walk-in clinic where we discovered I had gotten sick in the first place from a MRSA infection and that is why the leg rash I had wouldn't go away. I got some powerful antibiotics and disinfectant for my skin. We had planned on biking the Creeper Trail and driving the Blue Ridge Parkway, but the heat and humidity making the "real feel" temperatures well over 100 degrees every day didn't exactly make us want to drive slow in the sun and look at views, so we headed home. Now we are getting ready to leave for the Long Trail. I've mailed our resupplies, planned out our first town stop, packed the backpacks, and even some additional supplies for after the hike. We will be doing a traditional style thru hike on this trail, so we won't be coming home until the end. Blog posts for this hike will begin very soon! I can't wait to share our trip with you guys. If you want to see more "real time" photos of our trip, please follow either of us on Instagram @SprinklesHikes or @NoKeyRules. Happy Trails!